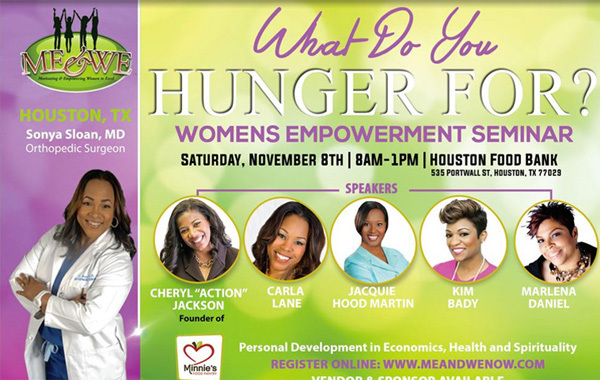 Conversation w/ Jacquie & Karen Audio Podcast: What Do You Hunger For? This week on the Conversation with Jacquie and Karen Audio Podcast: Dr. Sonya Sloan and Mrlena Daniels of ME & WE Inc. join Jacquie and Karen to discuss the “What Do You Hunger For?” conference, how to use your gifts to reach the next level and ways women can get out of their own way so that they can bloom into their destiny. Plus, it’s midterm election time and time for you to get out and voice your choice. Don’t stay silent cast your ballots on Tuesday, November 4th. Visit https://www.iwillvote.com/ for election information in your area.